Is it Thursday already? While my neighbors and I begin to appreciate the literal pit of hell that we have dug for ourselves with this year’s haunted house project, I will tear myself away for a moment to bring you some more frightful builds in this, our Halloween-themed Week of Worries Wonders. 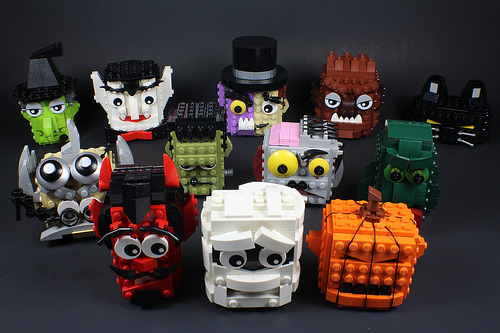 For the third wave in his ongoing Blockheads project, Dave Kaleta decided to honor this most unholy of holidays with a set of heads representing popular Halloween characters.